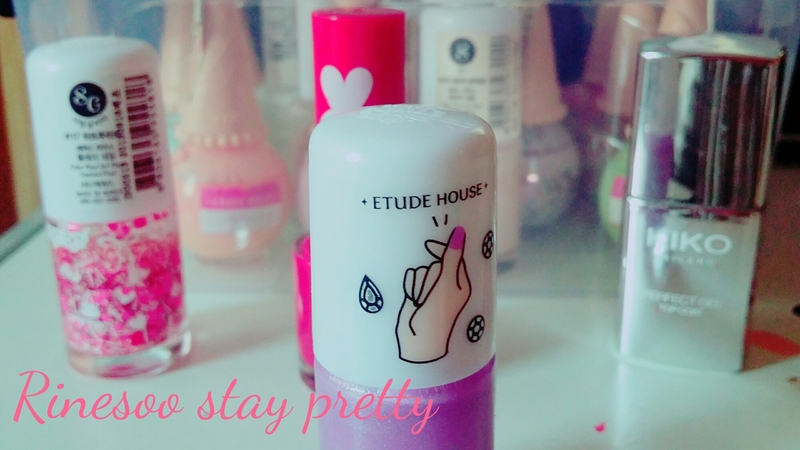 If you are a fan of Etude then you already know this was their summer collection 2015. This was a collab release with High Cheeks. This collection was all about holographic shine for the eyes, lips and mouth. 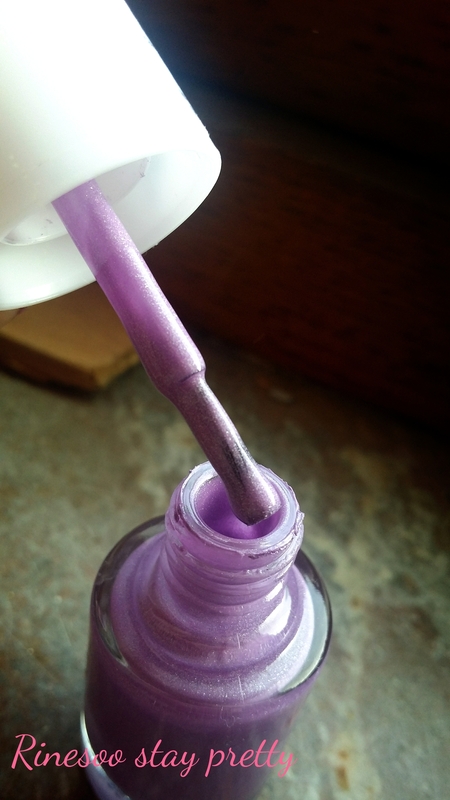 The nail polish do not come in a box, or protected with a plastic film. You have the illustration of the collection on the cap. I do find the hand drawing at bit creepy. On the back, you have the name of the color. 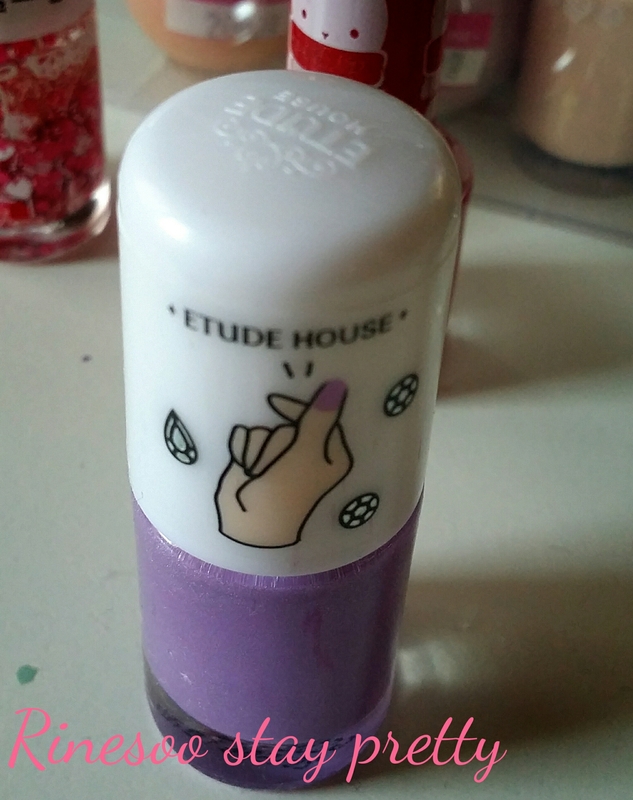 I forgot to mention that the Etude House logo is engraved on top. For this collection, 5 colors were released. They are a pretty bright color with that metalic/ hologram shine. 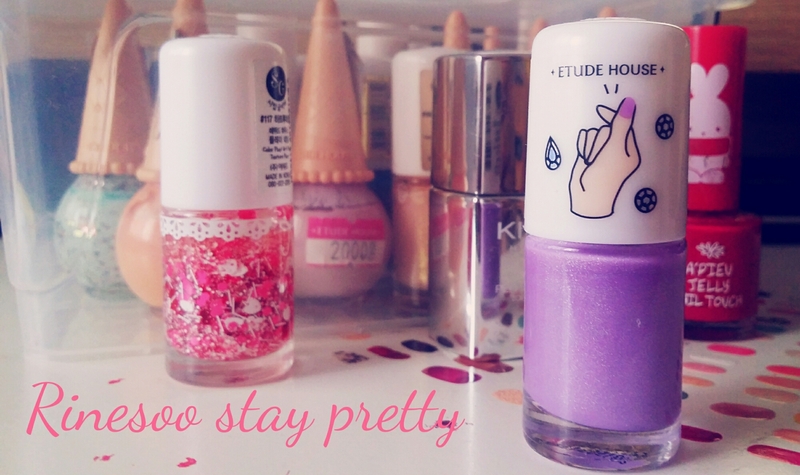 I opted for the 02 color as I love purple and it really looked super pretty on the model’s hand. Here is what it looks like out of the bottle. I found that the color was a bit lighter than the pictures, but still very pretty. 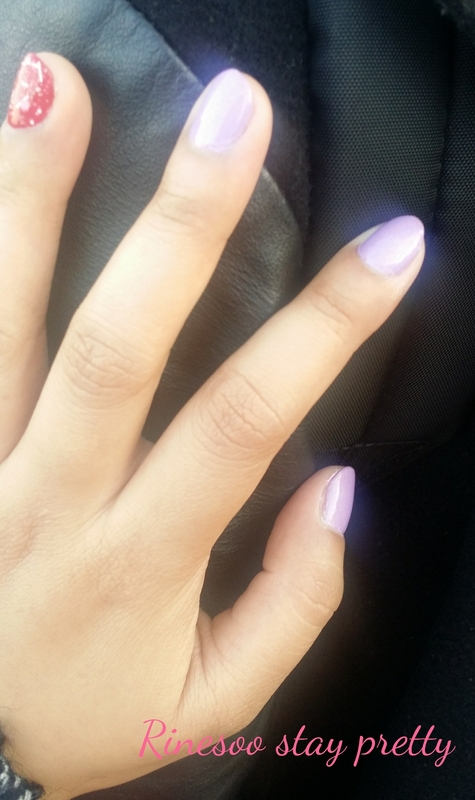 The color is more of a lilac lavender with very fine sparkles. Here is what it looked like on my hand on the first day of application. I think it’s a very feminine and soft color for everyday wear. It really looked good on my skin tone. Outside, the color looked evn lighter and I loved it more… you don’t know how may pictures I took because I was so in love with the color. Lol at my sister fingerbombing my pictures because I couldn’t stop taking pictures. 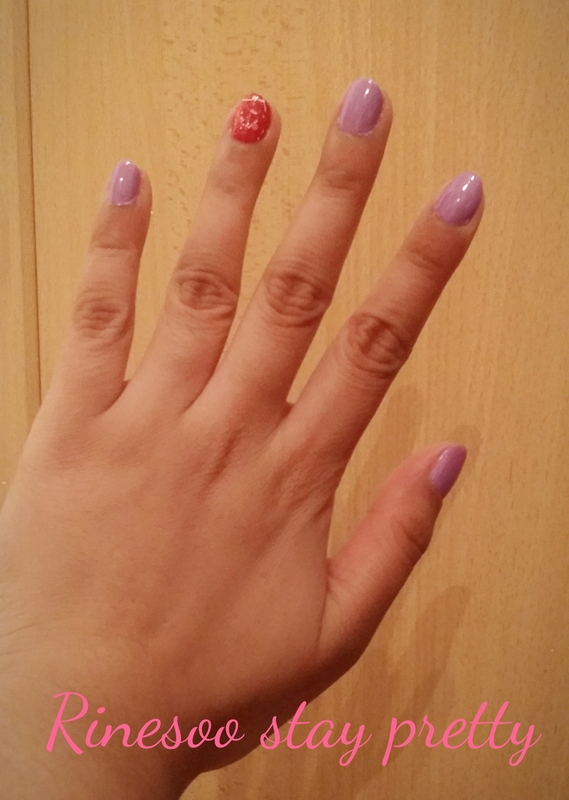 It has now been 4 days and my nails are still pretty good. 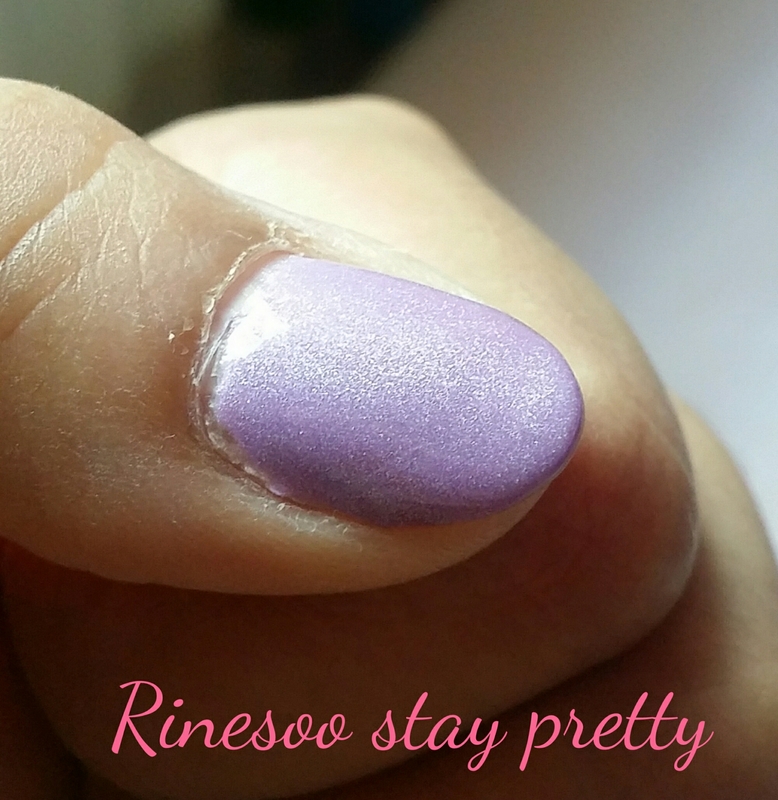 I should mention that I did use Kiko perfect gel topcoat which made the color even more alive and protected. But my sister, well succombed and used it as well and the color is still very alive and shiny. 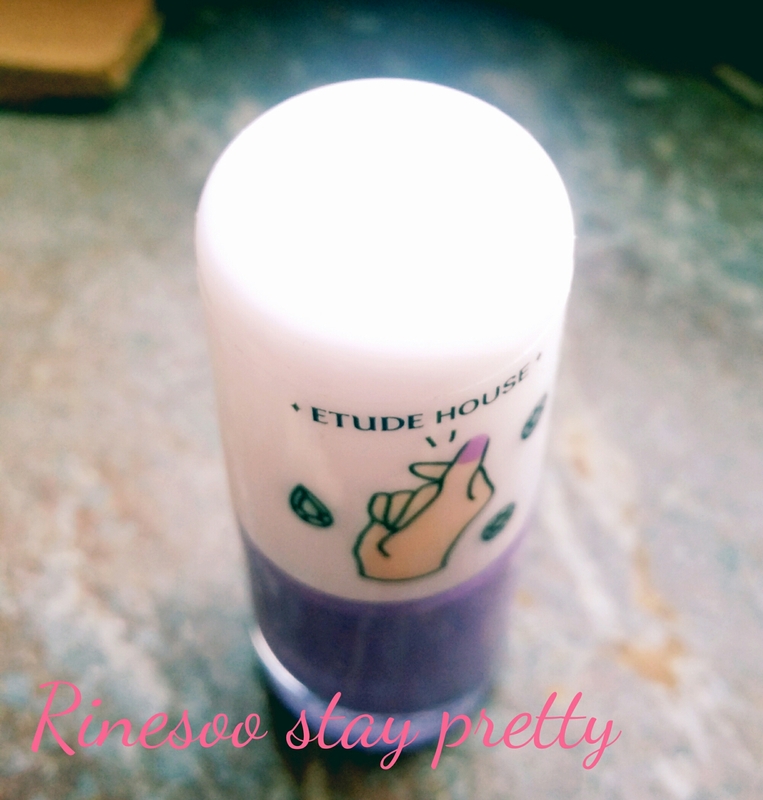 Can I just say I LOVE this shade! 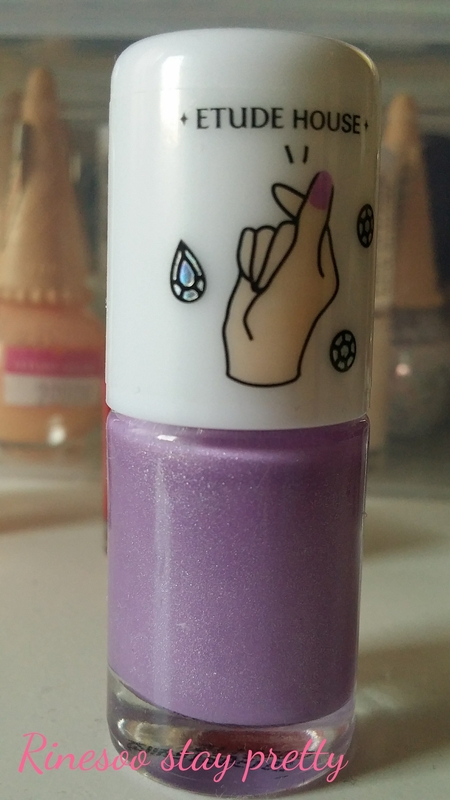 Mystery muse is so pretty, that everyone should have this shade. I think what makes it really nice and not dull looking after a couple of days is the sparkle used in the formula. See those tiny silver dots? It really just is super pretty. I would compare this to car paint. I know it sounds weird but, have you ever noticed that really shine clean looking car have this paint job with small sparkles in it? Well that how it looks like to me. I love love love the color and the wand is not too short or too long. 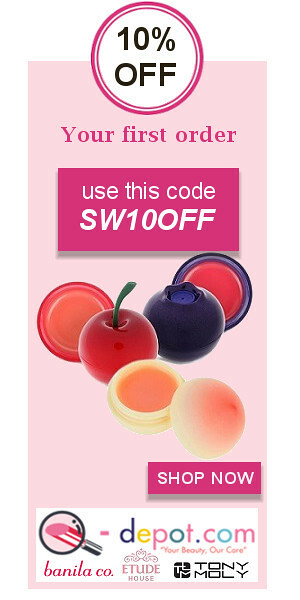 The formula is just right as well, not too thick or watery. 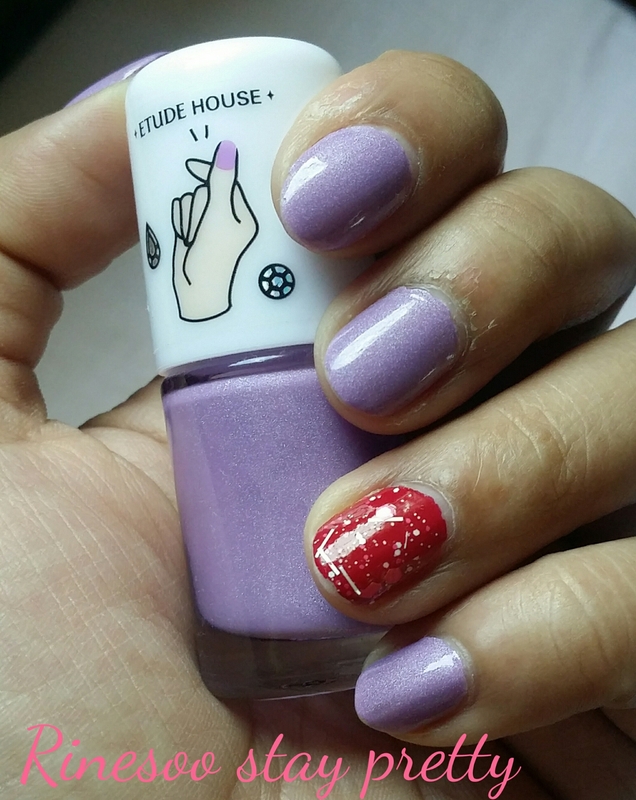 I applied 2 coats on my nails, but 1 would have been enough of you want a more discreet look. 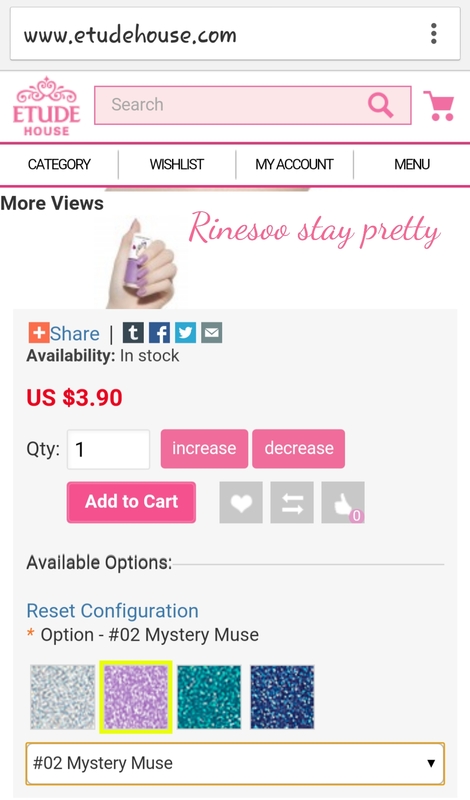 I bought mine on Etude House global directly for 3.90$ , which I think is reasonable. 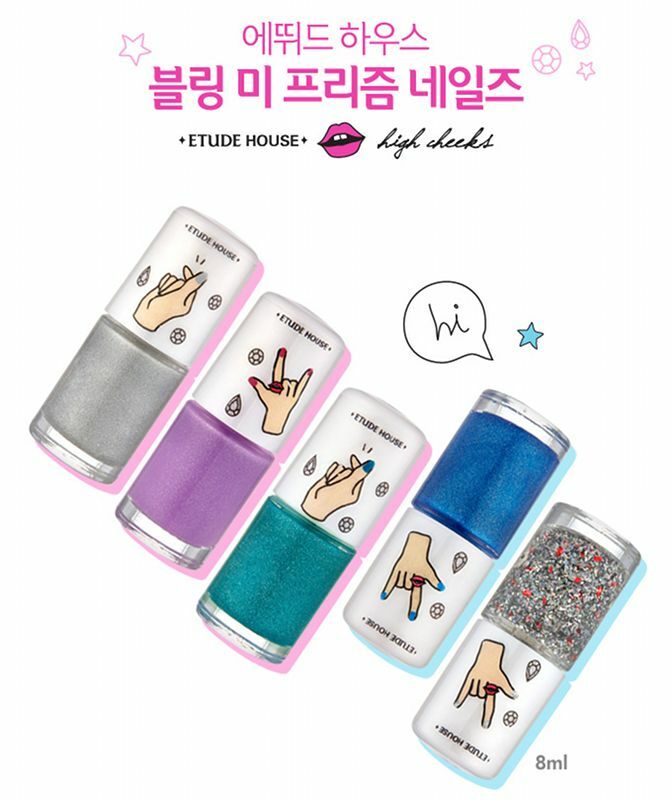 If you are looking for nail polish with a touch of sparkles, but too much this collection might just be what you are lookinh for!